This amazing book is a guide for everyone who wants to take their favorite things from the Pathfinder Roleplaying Game and bring them into the Starfinder Roleplaying Game, offering more detailed and holistic legacy conversion rules that should enable most anything from the expansive Pathfinder Roleplaying Game universe into the new frontier of sci-fi gaming. 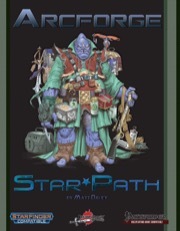 What's more, Arcforge: Star*Path contains extensive rules for taking things back the other way, enabling players and GMs who love the familiar Pathfinder Roleplaying Game rules to enjoy the new classes, weapons, monsters, and more introduced in the Starfinder Roleplaying Game. You'll find tons of rules, notes, and advice for dealing with classes, archetypes, races, gear, and more! Plus, there's a whole section of brand-new options, with nearly 30 feats and class features like solar renewal, Cosmic Variance, and Void Spell, as well as 7 all-new archetypes like the Ace Greaser, Starknight, Uplink Warrior, and Zenith Marine! 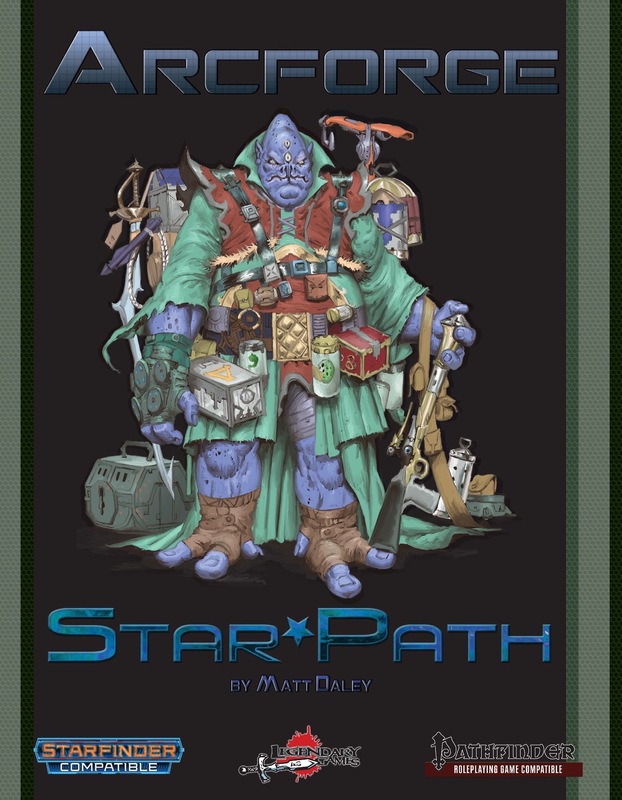 Whichever your favorite system, Arcforge: Star*Path provides you a wealth of rules and options for unifying the best parts of each to create countless new characters, stories, and adventures! Grab this fantastic 50-page dual-system accessory today and Make Your Game Legendary! While the description is more informative than a lot of descriptions here, it did leave out something I felt people would want to know. While also giving guidelines for converting from pathfinder to starfinder and vice versa, this also finishes the trilogy of books based on the subsystems of Dreamscarred Press- Path of War. So if you've ever wanted a PoW archetype for the Solarian, Mechanic, Envoy, or Soldier, this is the book for you. And I'm really digging the Robot Lord archetype for the Helmsman, which allows one to replace mecha with a mechanic's drone or exocortex. Well said and thanks for the expanded info!